The fable of the seven blind mice and the elephant is a good example of how relying on a single clue, without input from others, can lead you in the wrong direction. One mouse who only touches the leg believes the elephant is a tree, another touches the tusk and believes the elephant is a spear. Only the last mouse takes the time to touch and explore everything the other mice have touched and finds it is an elephant. So, too, is motorcycling. How hard would it be to travel if we only had the speedometer to rely on for all the information? Pretty hard to impossible, but now add in the odometer and you could come up with a rough estimate of distance and time you’ve spent on the road. Each clue, when combined with other clues, forms a picture in your mind. You must first find these clues by searching for them in sometimes obvious – and sometimes not-so-obvious – places. After you’ve searched for these clues, we’ll look at how they work together in your mind to form a picture of where you’re at, where you’re going and how you’ll get there. The basis for this internal picture is a preconceived belief of where you’re at, where you’re going and how you’ll get there. Just like the last mouse, being able to look over the environment from many different angles provides you a more accurate internal picture. We’ll concentrate on searching for three clues: weather, roadway and traffic. Weather is one of the most straightforward clues you may have come across in your travels. For instance, what does a dark, ominous-looking cloud ahead of you portend? What you visualize in that cloud is based on your past experiences: heavy rain, hail, wind or a combination of all these and more. What does a sudden change in roadway color indicate? A dull-to-shiny-change, based on previous experiences, may mean the road is slick and has a lack of traction in the shiny area. What does traffic say? Traffic can talk with horns, verbal language, hand gestures, squealing tires and so on, so it may say a lot! Motorcyclists’ eyes are placed at a slightly higher level than normal motorists’ eyes, so we get to see more of the traffic dynamic and how traffic will flow on the road. Traffic flow can take on the characteristics of a river, coursing through bends and being turbulent over rocks. Traffic may speed up here or slow down there, compressing and creating turbulence around stationary items – a broken-down car, for example. These clues give you a peek into the big picture, and they also help tell you where to go. We’ve now searched for clues from the weather, road and traffic that affect our current travel plans. These clues may mean we must adjust our plan, but focusing on how each adjustment affects us getting to the final destination measured in a benefit/loss ratio. Much like playing chess, a move by one piece creates vulnerability to another while affecting the moves of many more. In traffic, we can use our experiences of past maneuvers and predict how traffic may react, anticipating it. Examples are planning for an escape route, changing lanes, adjusting lane position, considering alternate routes by looking over a map or selecting the detour option on the GPS. This is a lot to think about when traveling at 60 mph in heavy traffic, managing the PGS, answering the Bluetooth phone call, peering through a rain-splattered face shield, adjusting the heated grips and wondering what’s for dinner tonight. Keeping our physical skills matched to our expanding knowledge of how to search for clues expands our options for completing the journey. Knowing not only to apply the front brake, but how much front brake for the given situation, takes dedicated, thoughtful training and practice of the skills. Let’s examine three situations. Try to put yourself in each and think about what other clues you may find. Bob is riding his R 75 to the International Rally in Salem, and notices a change in roadway color from a dark gray asphalt color to something much lighter, almost white. As Bob rides closer, he notices that the color is actually moving laterally across the road and that vegetation on both sides of the road is bending in the direction the color is moving. Now the color becomes slightly translucent and is piling and taking on the shape similar to a sand dune on the roadside. Bob sees an oncoming car, which as it moves creates a dust cloud. Bob guesses this is sand over the road, and from previous rides, he knows the R 75 is a handful in the sand. 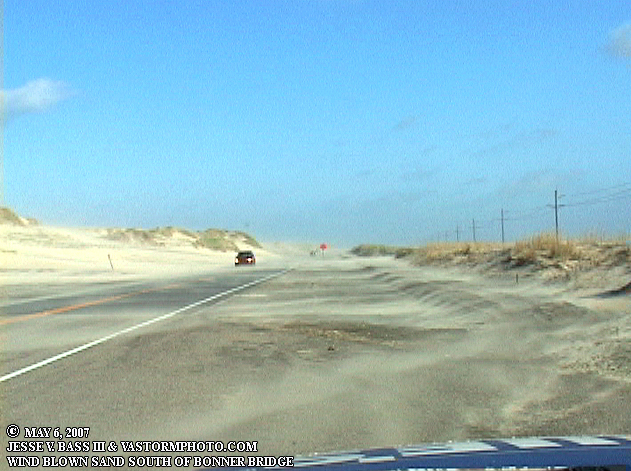 He decides to slow down to let the wind blow more of the sand across the road and hopefully open up a clear patch of asphalt. Mary is on her way to Salem for the Rally as well, enjoying the solitary Sierra Nevada gem called Highway 395. The day has been one of clear blue skies with no clouds in sight. Highway 395 becomes an undulating roller coaster ride on which she and her F 800 ST becoming a team dancing to the flow of the road. They dip into a shallow bend and begin an exit up a hill when Mary sees a NO PASSING sign. She notices that trees are directly in the roadway, but look farther away, and it is only the tops of the trees she can see. She begins rolling off the throttle and places the index and middle fingers of her right hand over the front brake lever and her right foot gently on top of the brake lever. She crests the hill and sees a sharp corner warning over a 25 MPH speed limit sign. Mary cannot see around the corner. Instinctively she engages both brakes simultaneously and the F 800 responds by slowing and pitching slightly towards its front tire. Mary guides her riding partner to the outside of the lane, slowing until she reaches the point where she can see around the corner, then dives into the apex while keeping her eyes on the exit, rolling on the throttle and releasing both brakes in a practiced manner that has become automatic. Mary and her partner on this road dance perfectly through the apex and accelerate away toward the next corner. William has embarked on his retirement gift to himself – ride the Four Corners, visit New Orleans and win the GS Giant. In Louisiana, William sees a scenic roadway sign and decides to take it. He knows not where it leads, nor does he care, because his GPS unit automatically recalculates to get him to his destination. After crossing the bridge from Belle Chase to New Orleans, he encounters traffic and construction that bar his planned route. His GPS tells him to make a U-turn when possible. With traffic at a standstill, William scrolls through the GPS map to see what other streets might be viable options. He has no luck, but something moving catches his peripheral vision and William spots an alley to his right. It’s not on the GPS, but he can see it terminates on a parallel road with traffic moving freely in the direction he needs to go. William brakes free of the stopped traffic and makes his way through the alley. He stands on his GS foot pegs to see and navigate the alley’s potholes and trash. Restaurant and hotel workers taking a break from their jobs cheer, clap and shout “Nice bike!” William stops after making it through the alley and sees his hotel to the left. Just like the mice that eventually found the elephant, so too can we find the way to our destinations by using as many clues as possible. Originally published in BMW Owners News in January 2013.